Security is important for every business around the globe. Keeping your employees, structures, data, systems, and assets safe and secure are crucial to your organization’s success. Unfortunately, many businesses are unprepared to deal with potential security threats. Simply having security cameras or security personnel is not enough. Accurate security takes a multi-faceted approach. A combination of several different methods is the best way to detect and prevent security threats. Mint Controls has several years of experience providing secure solutions to businesses across a wide range of industries. 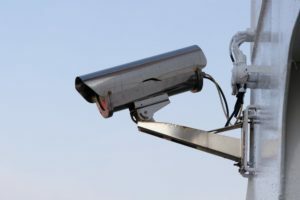 Over the years, we’ve developed an effective approach to security that includes the combination of LIDAR, RFID, and HD surveillance cameras. RFID tags provide unique identification of an object. Encoded with specific information about each object, RFID labels are applied to each item tracked. Identification cards equipped with RFID are given to each staff member and/or visitor. Our team installs RFID readers throughout the facility. These readers collect and transmit information in real-time about object location and time spent in each location. This provides an accurate picture of all assets and people within the facility. LIDAR measures the distance between objects. This allows management to monitor movement and activities within a space. LIDAR only provides measurements. It does not provide images. When combined with HD surveillance cameras, LIDAR provides an extremely accurate view of an area. Our software displays all of the information collected by our LIDAR system and our HD cameras. Users can click a person or object and the system will automatically follow them. When combined with RFID, users can now see exactly who each person is, their activities, and the length of time spent in each location. No other system provides this level of visibility. Mint Controls customizes our security solutions for each organization we work with. Our solutions protect a variety of assets and enable quick and easy tracking of suspicious individuals and sensitive items. In addition to impeccable monitoring and tracking abilities, our solution provides the proof needed to locate and prosecute criminals. Please contact us for more information about this solution. What can Mint Controls do for you? Our solutions increase efficiency and profitability of every operation.